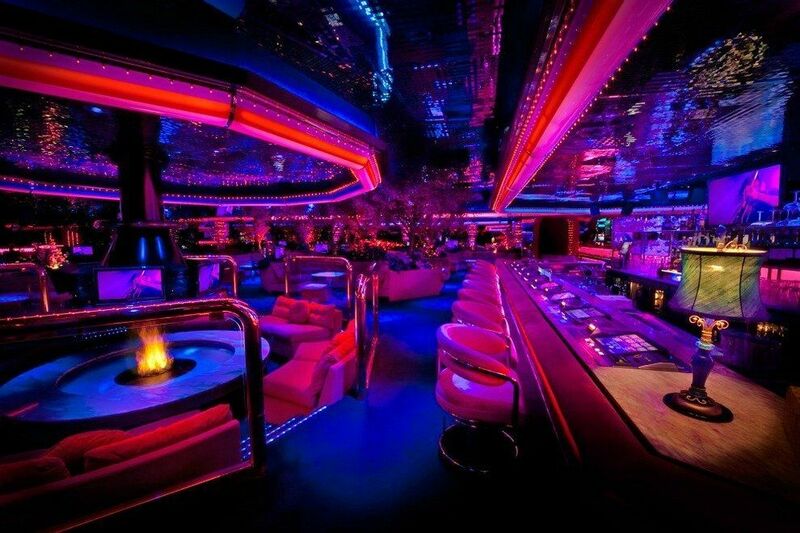 This is the ultimate guide to finding the best Las Vegas Happy Hour deals on the strip. Seriously, we’ve sliced and diced every single bar and restaurant on the strip to find you the best hotel deals and best days of the week for cheap drinks and food. Use the guide below to help you plan out your Las Vegas trip and make it a memorable one with over 75 different options for deals and specials. Visitors to Las Vegas know that there are plenty of overpriced drink and food options on every corner of every hotel. 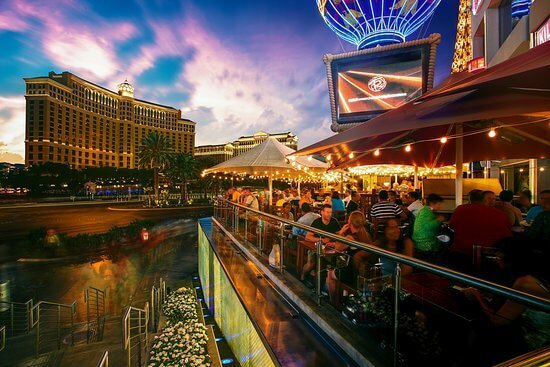 Save money by taking advantage of Las Vegas happy hour deals and find new places to explore at the same time. 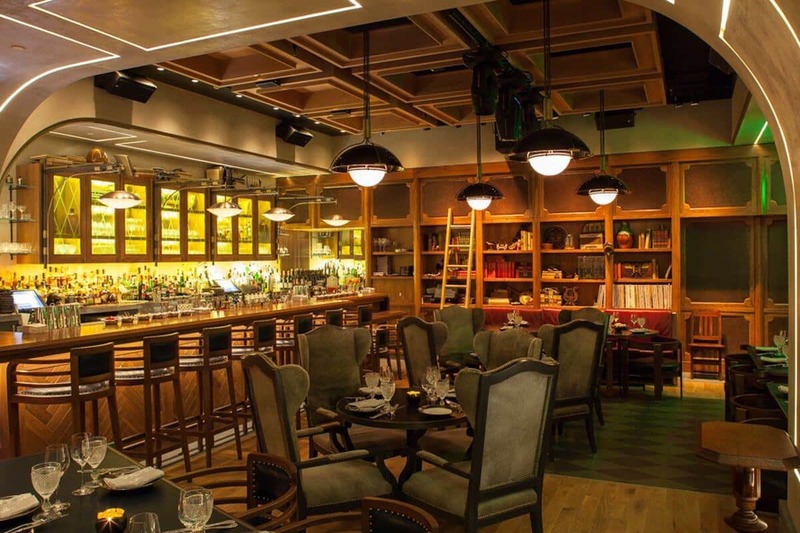 Use the quick links below to sort happy hour deals by days or price, or simply head down to our per-hotel breakdown of good food and drink deals in Las Vegas where our entire list is located. Make sure to comment at the bottom of the post or get in touch with us on Twitter and tell us what you think the best Las Vegas happy hour deal is. Looking for a show or concert after happy hour in Las Vegas? We have the only COMPLETE LIST of Las Vegas Residency shows on the internet so that you can see what artists are performing on the Strip! 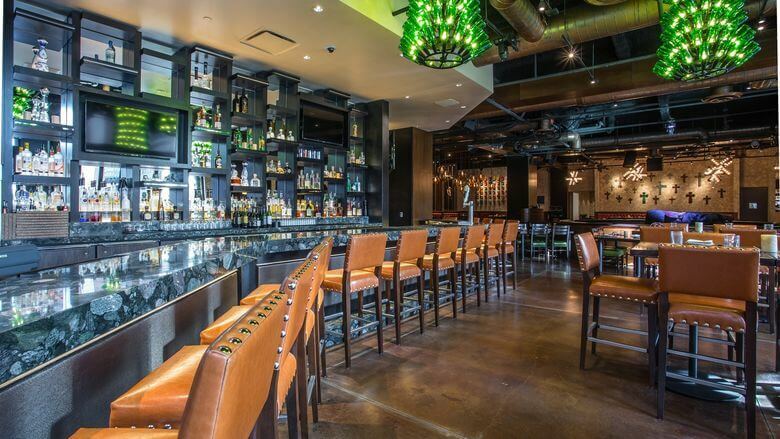 Below are our picks for best Las Vegas happy hour deals, sorted by weekdays and weekends. For specific deal information, check out our deals under each hotel where we list out the specific deals that each restaurant has! 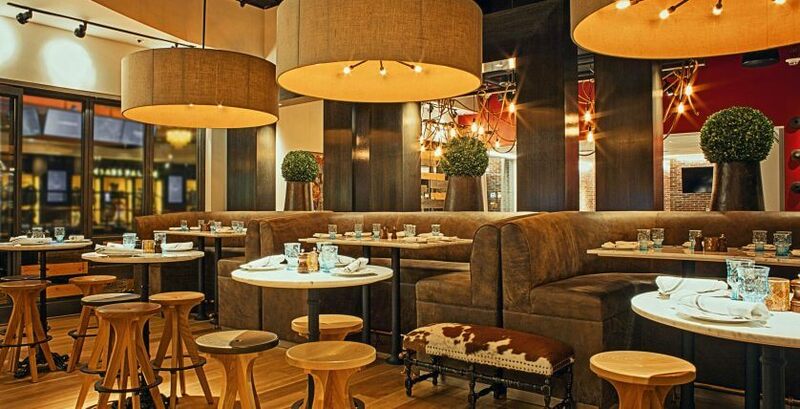 There isn’t much for happy hour specials in the Bellagio, but Harvest by Roy Ellamar is your spot. On top of top notch farm-to-table food, from 5-6pm and 9-10pm you can get $7 wine and cocktails and a selection of snack wagon appetizers. During the week from 4-7pm, Sushi Roku has a ton of great Las Vegas happy hour specials to take advantage of. You can save big on beer and wine, plus sushi and appetizers. They also have a few $4 desserts on the menu if you want to treat yourself before or during dinner. 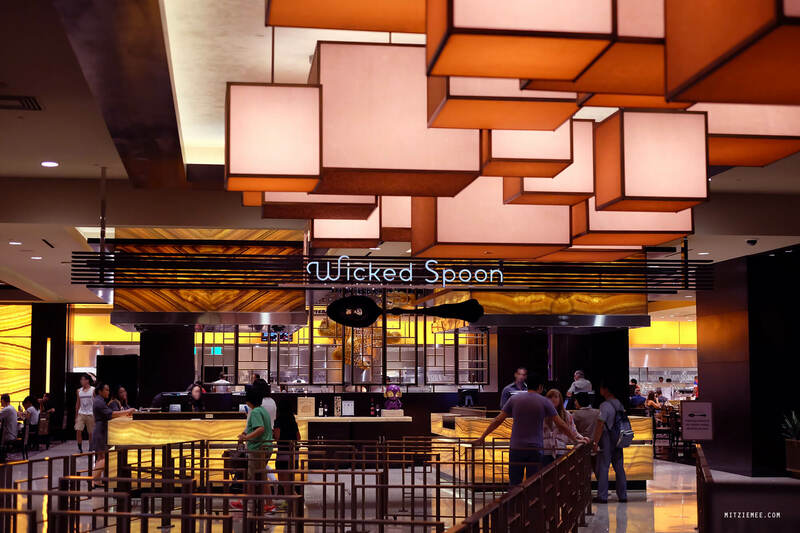 The Wicked Spoon is one of our favorite weekday happy hours for drinks. In the afternoon, you can get $5 beer, wine, and wells. 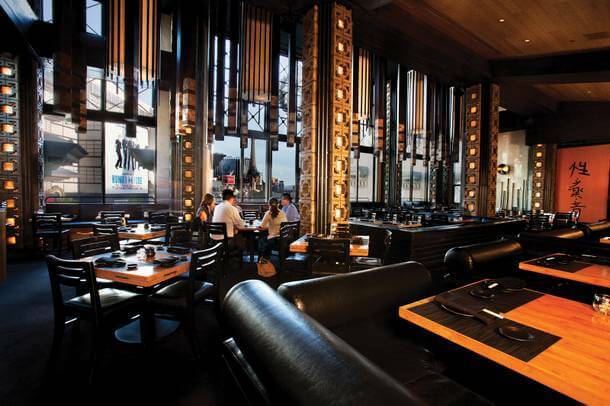 This is the perfect modern contemporary spot to make an afternoon out of and enjoy your Las Vegas strip time. 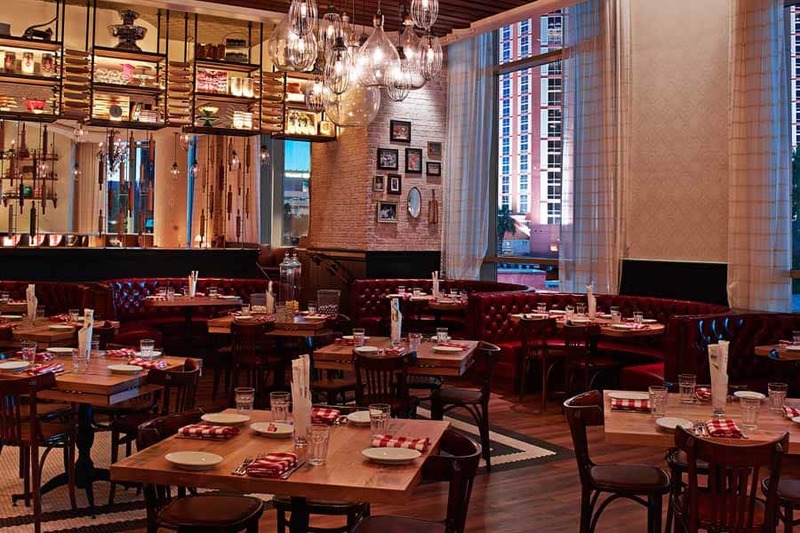 Chayo is a solid Mexican spot in the LINQ to check out. Every day of the week (weekends too) they have $21 bottomless mimosas for 2 hours until 4pm. If it’s quiet during this time, you can do a lot of drinking! As well, in the afternoon during the week Chayo has cheap Dos Equis beer, $5 margaritas, and $5 food options to check out. 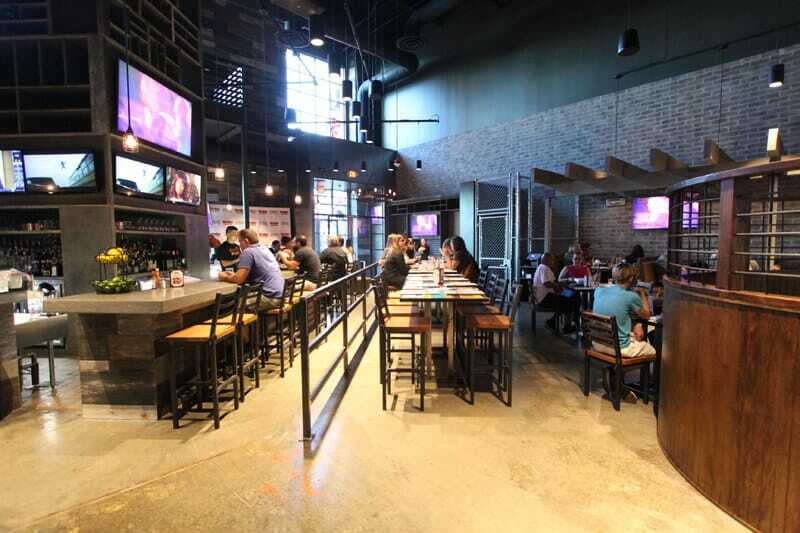 The Yard House has one of the more popular Las Vegas happy hours you’ll here people talk about. From 3-6pm, you get 50% off appetizers and pizzas, which in itself is a good deal. In addition you get a minimum of $2 off every drink and $4 off the half yard beer. It’s well worth it here if you can get a spot! Hecho’s happy hour deal is only from Tuesday to Thursday, but it is from 5-7pm during peak time. Even better, the deal is $18 for all you can eat tacos plus $18 for all you can drink margaritas. For those looking for quantity over quality, this is the deal for you. 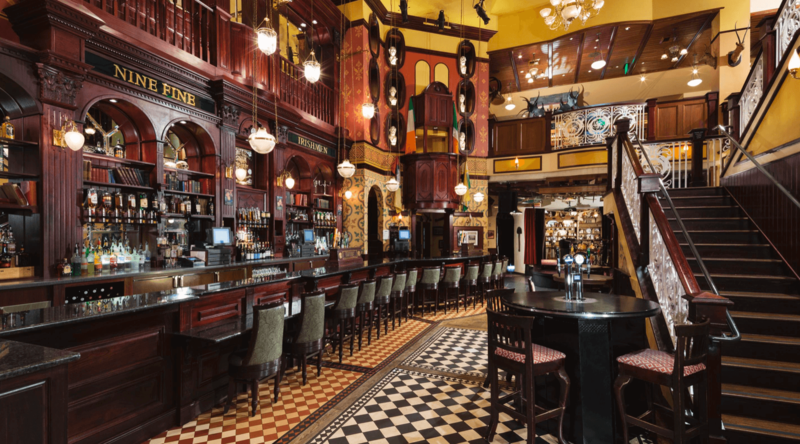 Nine Fine Irishmen has a weekday 2-5pm happy hour that includes $5 drinks and $6 appetizers. 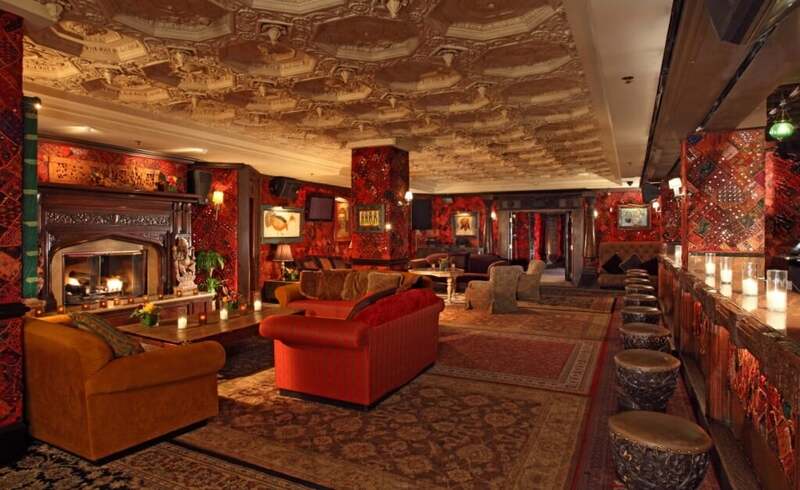 You can spend a good chunk of time wasting your afternoon here and the scenery in New York New York adds to the Las Vegas happy hour experience. 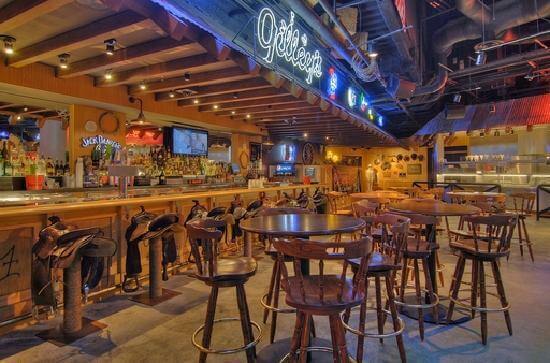 Another popular Las Vegas spot for food and drinks, Cabo Wabo has an excellent $3 tacos deal during the week. As well, they have $5 drink and shooter specials to check out as well. 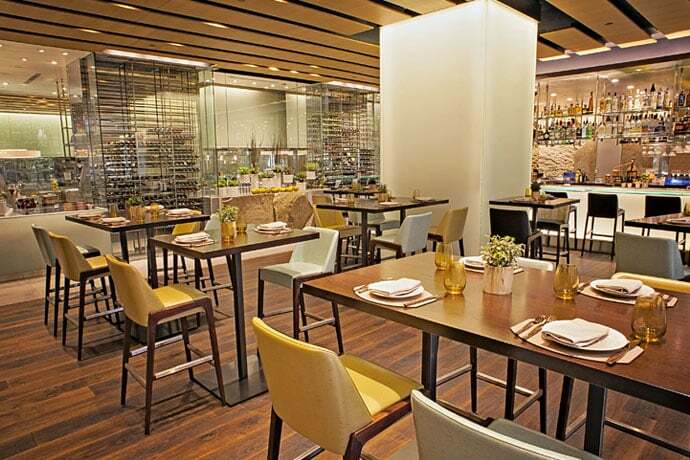 For those who like to get the weekend started early, the Bardot Brasserie in the Aria has one of the best Las Vegas Happy Hour lunch deals. For $25, you get unlimited Rose wine with your lunch until 1:30pm. You may need an afternoon nap though! Trevi’s happy hour is nice because it’s every single day and its 50% off a good portion of their menu. This makes it a nice weekend spot for some good deals. They also have deals on after 9pm at night if you are passing by after a Vegas show. Hussong has daily Las Vegas happy hour deals on a good variety of food and drinks such as beer, wells, margaritas, shots, and more. Prices are quite low and the atmosphere is chill. Not only does Coyote Ugly have $5 beer and well drinks (select styles) every day of the week, they have deals from primetime 6-9pm at night. This makes for a packed house but a good deal on the strip for drinks on the weekend. 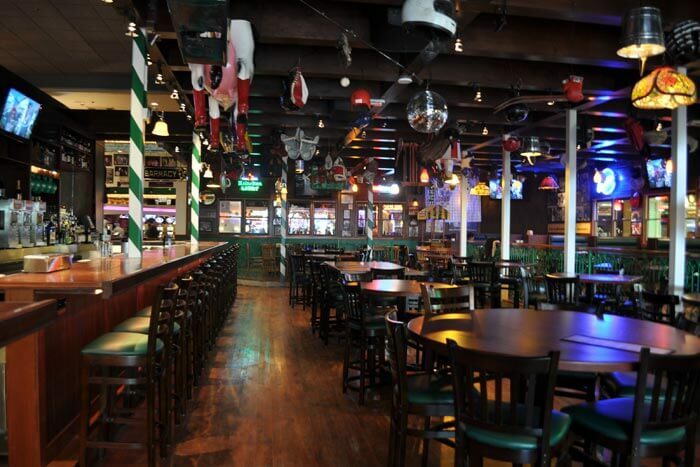 Buddy V’s has $4 beer, $5 cocktails, and $6 small bites every day from 4:30-6:30pm. This is a perfect way to lightly fill up on a Las Vegas happy hour deal before a night on the Vegas strip. The Italian menu is filling which is another nice bonus. 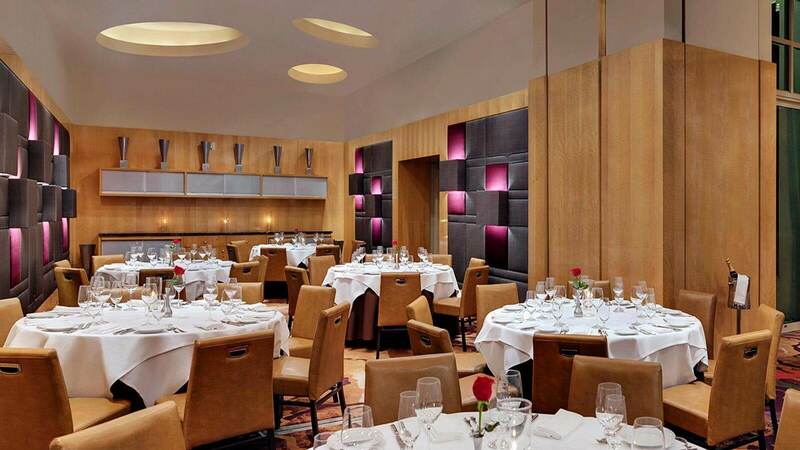 Katsuya is a ncie Asian fusion restaurant in the SLS which has daily happy hour. The time is a little limited (5-6:30pm) but a huge part of the menu is on sale: beer, wells, wine, sushi, small plates, and more. No matter what day of the week you find yourself on the strip, there is a Las Vegas happy hour deal to take advantage of. Nearly all restaurants and bars will advertise happy hour deals, but what is the best bang for you buck? 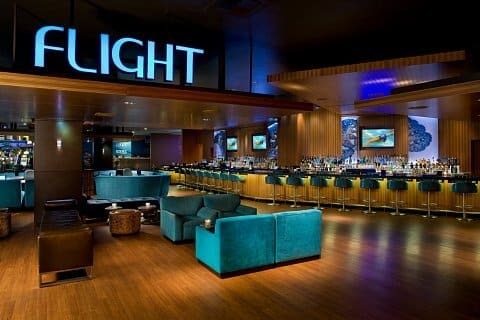 In the next section, we will have a look at the cheapest Last Vegas happy hour food and drink deals. 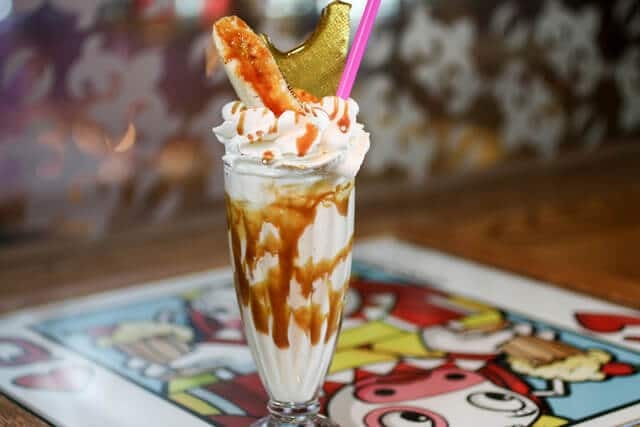 If you want quantity over quality, here are the cheapest happy hour places on the strip. Jaburritos is a casual spot in the LINQ promenade with a nice and cheap happy hour deal every day where you can get cheap sake and some basic sushi rolls. 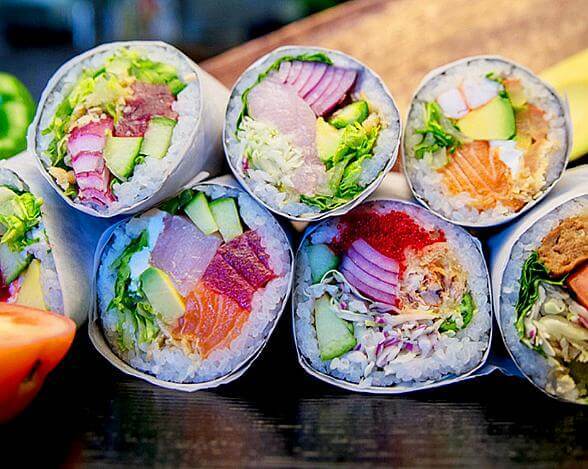 Jaburritos combines sushi and burritos for a unique Vegas experience. As we mentioned above, Hecho en Vegas has a unique all you can eat and drink happy hour from Tuesday to Thursdays. The price isn’t that cheap ($18 per deal) but for quantity you get all the tacos and margaritas you can handle. From 11am to 2pm, which is cheaper than a lot of the deals we found, you can get $5 or less for wells, wine, and Stella Artois beer. It’s getting harder and harder to find drinks for less than $5, which makes this a good Las Vegas happy hour options. Not only does the Border Grill offer $4 draft beer and $5 margaritas AND sangrias during their happy hour, you can also grab $3 tacos and $5 quesadillas. The deal is only active from Tuesday to Friday from 3-6pm but it is well worth it. 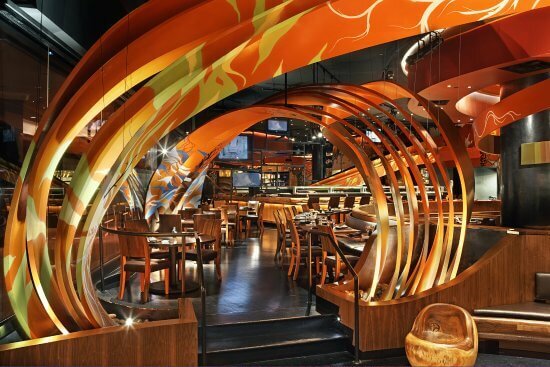 Make sure you check out some of these cheap Vegas strip food deals when you are in town. 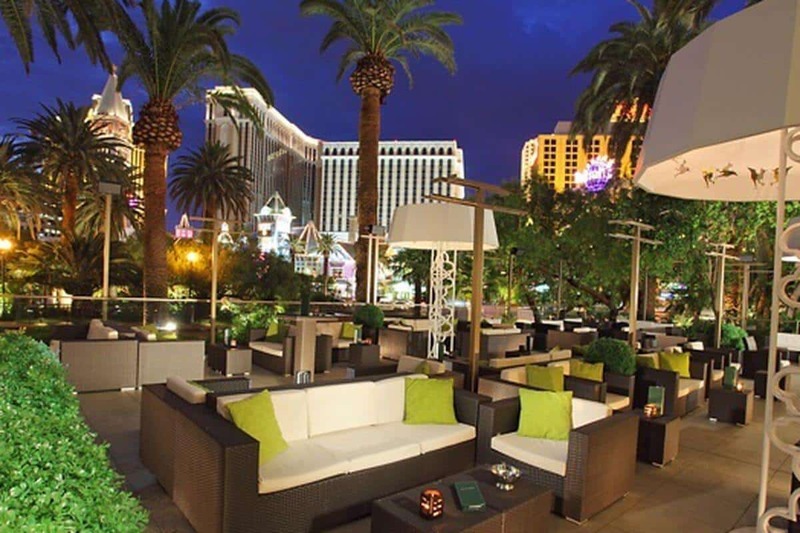 Have your hotel booked and want to see what Las Vegas happy hour deals are near you? 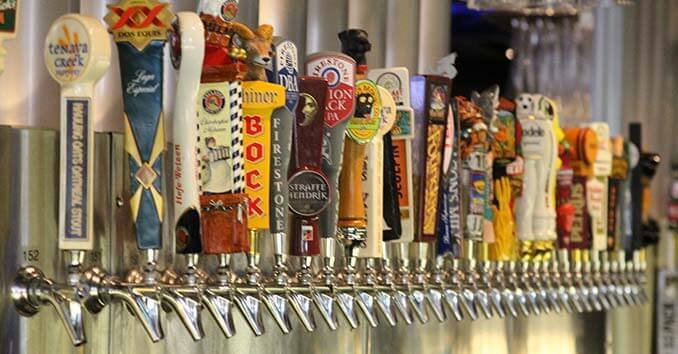 Below is every single happy hour deal sorted by hotels in Vegas. You’ll be well prepared when you get to town! 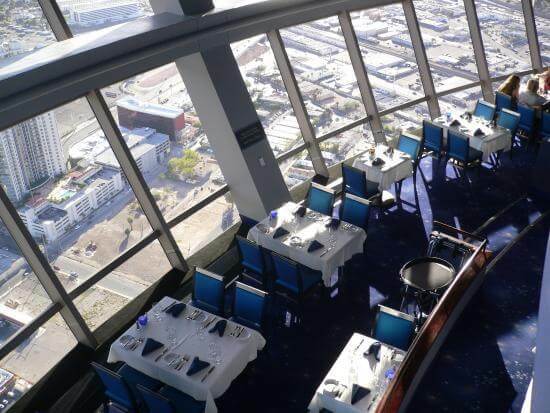 The LINQ is home to a bunch of great Las Vegas Happy Hour deals. The High Roller ferris wheel is right next door and is one of the top rated Vegas attractions. We have an exclusive deal for followers where you can get $10 off your High Roller ride. Luxor is one of the most iconic hotels on the strip. It is also home to the Blue Man Group show and you can save up to $43 per ticket by clicking here. The Mandalay Bay has some great Las Vegas happy hour deals. After you fill up on some food and drinks, you are right beside the Cirque Du Soleil Michael Jackson show next door. The MGM Grand is one of the strip’s most iconic hotels. In addition to the happy hour deals below, it is home to the world famous David Copperfield show, which you can save up to $27.50 per ticket on by clicking here. 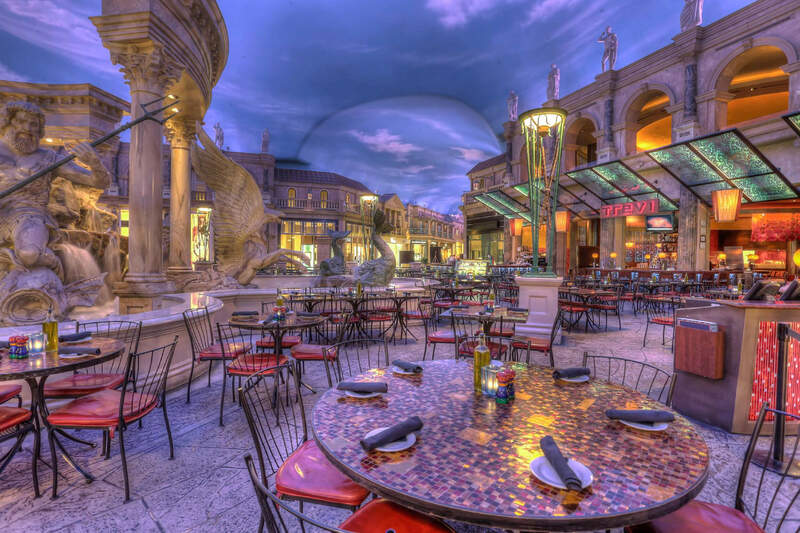 The Venetian and Palazzo are two of the most upscale places on the Las Vegas Strip. 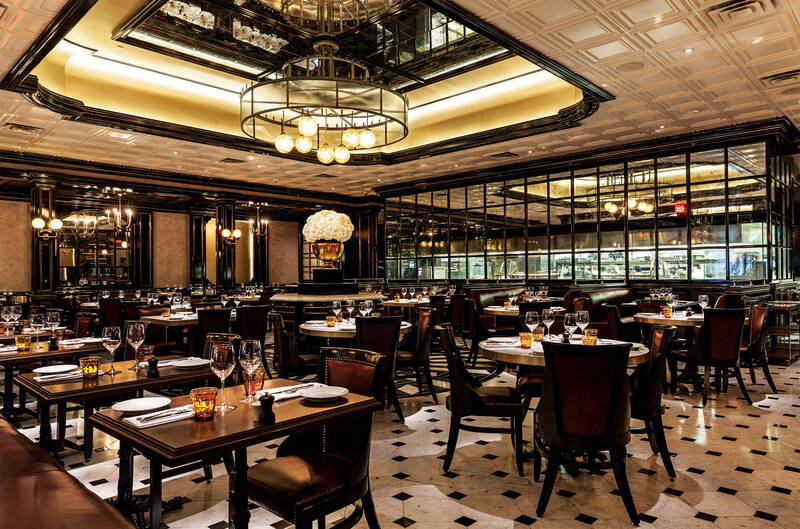 Full of premium food and drink deals, you can get 25% off your stay at the Palazzo + a $50 drink credit at the resort by clicking here. 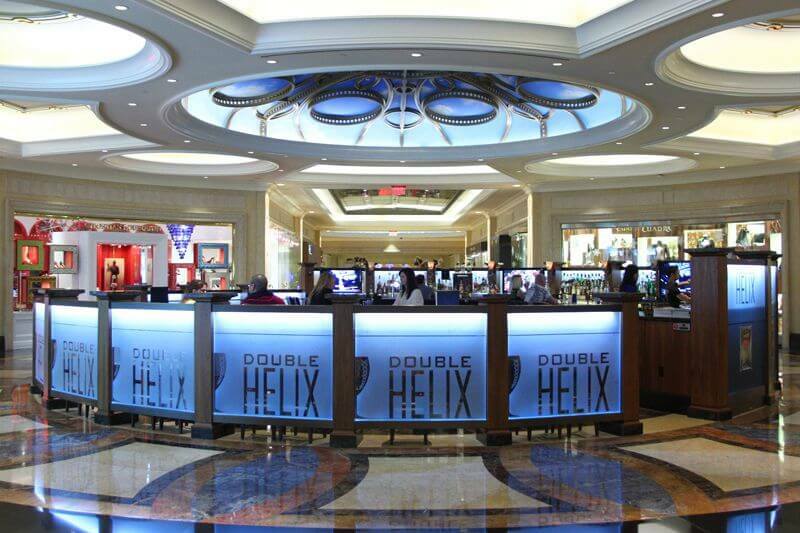 What is your favorite Las Vegas happy hour deal? Comment below and let us know, or follow us on Twitter and give us some feedback there!